The last time we saw Bryan Cranston on the big screen, he was chasing Godzilla a year ago. This year, he is ready to surprise us all in a new role. Just a few weeks ago, the trailer for Trumbo was released, a biopic directed by Jay Roach about Dalton Trumbo, a Hollywood screenwriter (Spartacus, Roman Holiday) who was blacklisted during the 1950s due to his political beliefs. The film is based on his biography, originally published in 1977, by Bruce Cook. Trumbo, also starring Helen Mirren, Diane Lane, Louis C.K., Elle Fanning, Michael Stuhlbarg, and John Goodman, premiered at the 2015 Toronto International Film Festival back in September and so far it’s gotten some pretty great reviews. 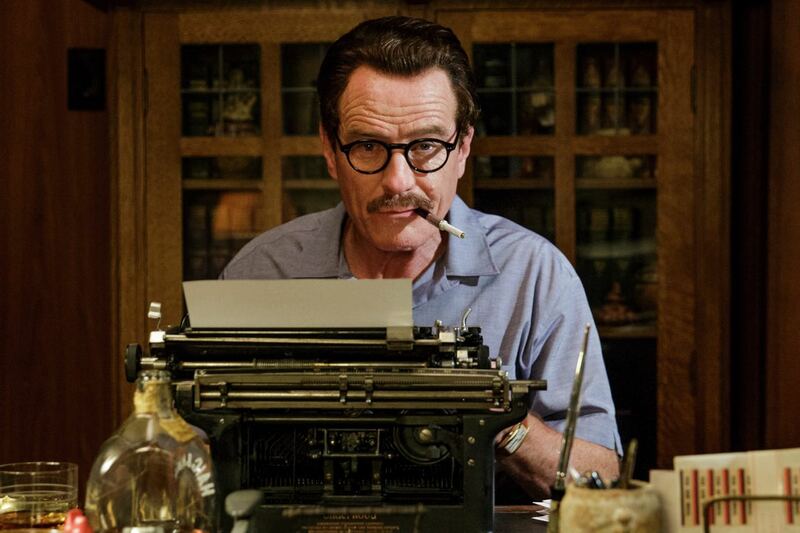 Judging by the trailer that you can watch below, Trumbo looks very promising. It’s too early to tell, but it may be part of the Oscar-Race for 2016. We’ll have to wait for the film to open on November 6th to find out. Next ArticleTV Review: The Flash (2x03) "Family of Rogues"